ACCA and Excellence Delivered (ExD) the only Platinum Partner of SAP in Pakistan launched the initiative to develop 100,000 SAP Professionals in the next three years in Pakistan. 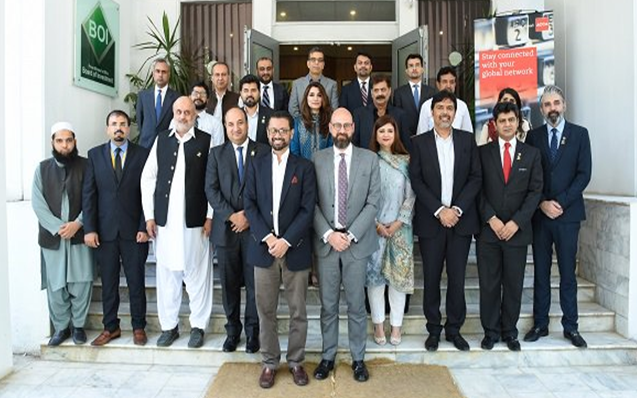 This event took place at the Board of Investment (BOI) office in Islamabad in the presence of dignitaries from BOI and SAP regional management. ACCA and ExD have collaborated to train SAP professionals setting a target that Pakistan should be able to deliver on the ‘export of services’ opportunity. Both the entities believe that the main drivers of change that can create an economic impact include exporting services and professional and technical expertise. ACCA works in public interest and ensures that the businesses operate as a force for good and this is only possible when they are adaptable to newer models of operating. For this purpose ACCA and Excellence Delivered made a commitment of digital enablement of the young talent in the country and have produced over 2,200 professionals trained for SAP technologies; and this success has attracted SAP itself to become a partner in this initiative and has supported Excellence Delivered to take it to next level (Phase II) i.e. to develop 100,000 SAP professionals in next 3 years in Pakistan. ‘SAP is delighted to be an integral part of an emerging Pakistan. Through superior technology servicing, SAP has been able to touch lives of millions within Pakistan changing the way production, management and quality is managed from the most basic to the most advanced level. From households to Industries, SAP is changing lives for the better on a national level paving the way for an emerging Pakistan’. Sajjeed Aslam, Head of ACCA Pakistan spoke about ACCA’s commitment to delivering public value in terms of developing and nurturing the right talent that businesses need, leveraging technology and ensure that ethics hold a central position in everything we do will contribute towards the vision of an emerging Pakistan.